Sally Augustin, PhD, Founder, Principal, Design with Science will present how colors – on surfaces, in light, or combined in patterns – can be used to support an improved user experience in healthcare spaces. Webinar attendees will learn not only how to make color choices, but also how hue, saturation, and brightness – as well as users’ culture and personal factors – influence the effects of color on the wellbeing of individuals and groups and probable health outcomes. 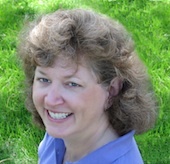 A practicing environmental psychologist, Sally is an expert on person-centered design. She integrates insights from environmental psychology and project specific research to develop places and objects that support desired experiences. Her clients include manufacturers, service providers, and design firms in North America, Europe, and Asia. As the editor of Research Design Connections, Sally has written widely on science-based design for a broad audience of people interested in the designed world. To learn more about the webinar and for a detail biography, click here. The D01 - Coaching Workshop, Practical Application of Evidence-Based Design, (8:30 am – 2:30 pm), is an excellent opportunity to bring EBD concepts into practice, offering an introduction to EBD as well as personal consultation about how to integrate the EBD process into your project(s). HCD conference attendees have the opportunity to take the EDAC Exam at conference and take advantage of a 10% discount + risk free offer - you can retake the exam once at no charge if you do not pass. Register by October 6, 2014 to avoid a walk in fee, use code HCD14. Here’s how: reserve your seat for the exam with your conference registration and then complete the exam application; use code HCD14 to receive the 10% discount (total charge for exam with discount is $319.50). Once you receive the "Notice to Schedule" your exam, you will need to select the "San Diego Convention Center" location on November 17. *Those who don't pass will be allowed to retake the exam again at a later date for free. Exam must be retaken no less than two months and no more than 12 months after registration date. Give to the Center at the Same Time? 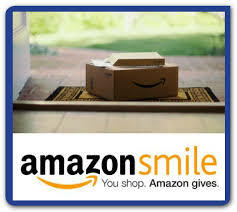 It's very simple - just click on the box below, enter your email address and Amazon password, select The Center for Health Design and start shopping! Need CEUs? We constantly add to our on-demand webinar library and each webinar offers EDAC and AIA CEUs. Watch any or all on-demand ICONS and Innovators webinars at your convenience, here. This book will help bridge the gap between EBD theory and practice in the design of healthcare facilities - providing examples of enhancing patient safety by reducing medical errors while eliminating environmental stressors, that negatively affect patient outcomes and staff performance. Learn more here. Get access to access to vast healthcare design resources and research data, the services of a top-notch research team, and industry-wide best practice knowledge.